This is a companion post to one just published on Photobooth Journal. Vic Parks was Lou Costello’s stunt man for many years. 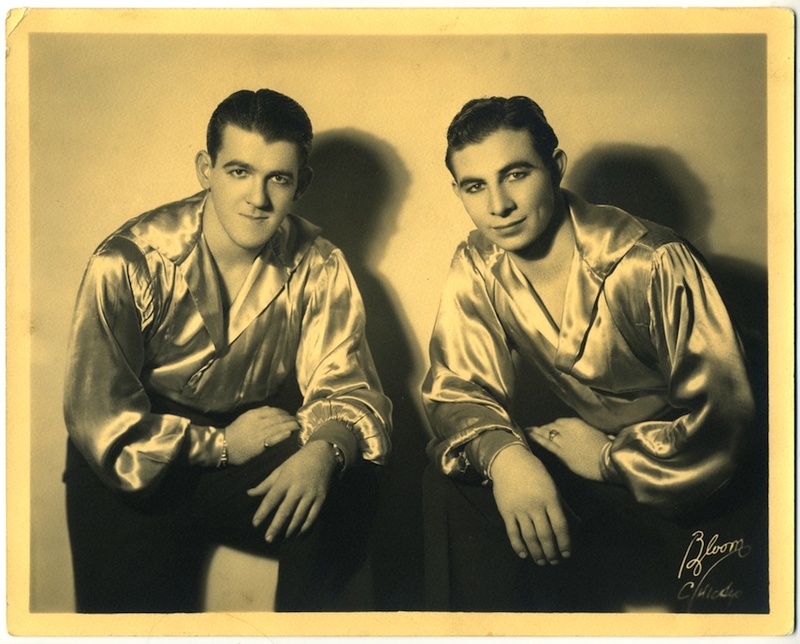 He met Lou while both were working in vaudeville. They became lifelong friends. The photos below date from Vic’s time as an acrobat. He worked with George LaMarr, (variously spelt Lamar, and Lamarr and La Marr) with whom he travelled and performed in the United States. 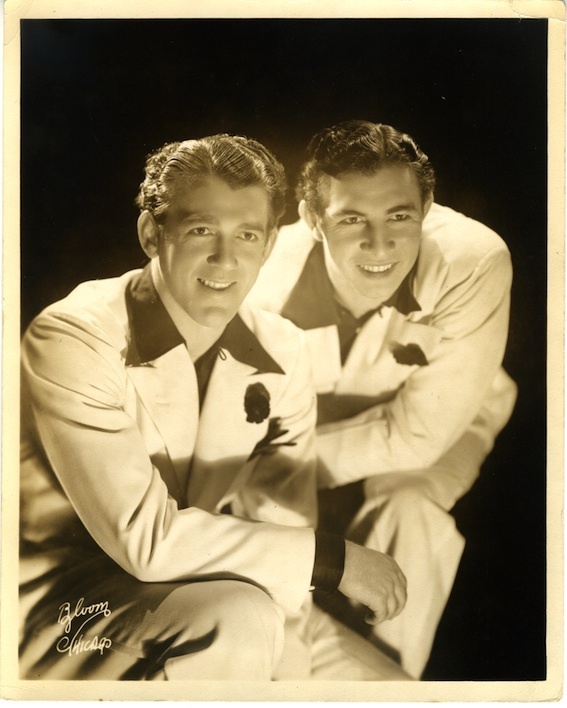 Parks and Lamar – Promotional photo for their “dancing and tumbling” show. These are all 8 x 10 inch photos from Chicago photography studio, Bloom. 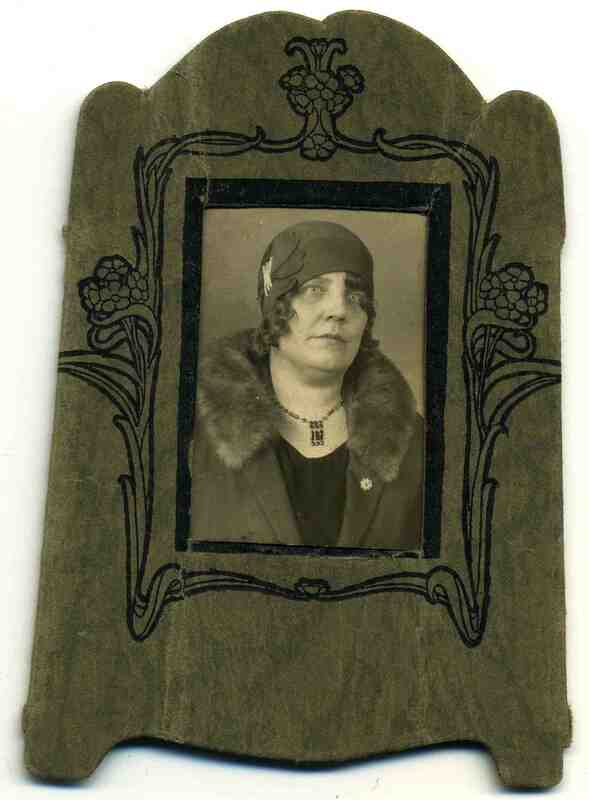 They were probably taken in the early 1930s. 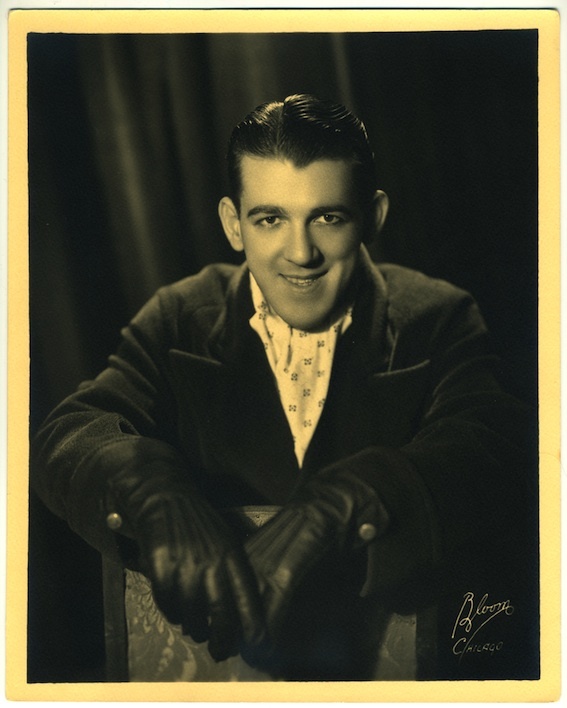 For more information about Vic please see the post Vic Parks – Lou Costello’s Stunt Double on Photobooth Journal. Tags Bud Abbott, Golden age of Hollywood, Lou Costello, photography, stunt double, stunt man, vintage photography, vintage portrait, Who's on First? A Famous Face, Yet Unfamiliar? When I showed this photo to two friends neither of them was able to tell me who they were looking at, despite my saying that he was one of the twentieth century’s most famous people. I wasn’t surprised they didn’t recognise him, as without his props and make-up he looks very different to the way the world knows him. Do you know who this is? Have a good look at him before scrolling down to see the information that is written on the back of this 1920s press photo. Here are some images related to the film which I swiped from IMDB. 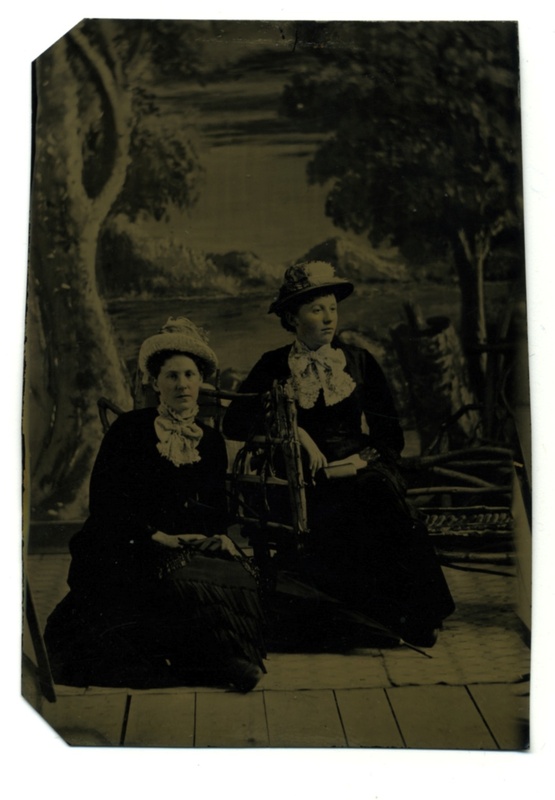 How cool and bizarre is this Victorian era photo? I bought it in Australia, so I will presume it was taken here. However, with no identifying details written or printed on it, or knowledge of its provenance, that is nothing more than a wild surmise at best. Leg and arm stocks, a strange and somewhat macabre photographer’s prop, fits with our convict history. But, given that until recently, we were extremely uncomfortable with the way our country made its start, it seems a strange thing for anyone to choose to be associated with, especially in the Victorian era. While the log and pine cones have obviously been carefully placed in the frame by the photographer, suggesting the picture was taken in a studio, the grass looks real. So could this possibly be an outdoor setting with a canvas backdrop brought in for the shoot? And the book? What can we make of the pose in general? Beats me! Help me Matt from Pics of Then, you have a better eye for this than I do. The photo is on heavy weight photographic stock and measures 152 x 199 mm. I treasure it! This extremely stately lady, dressed in an elaborate kimono and jacket, has a very regal air about her. 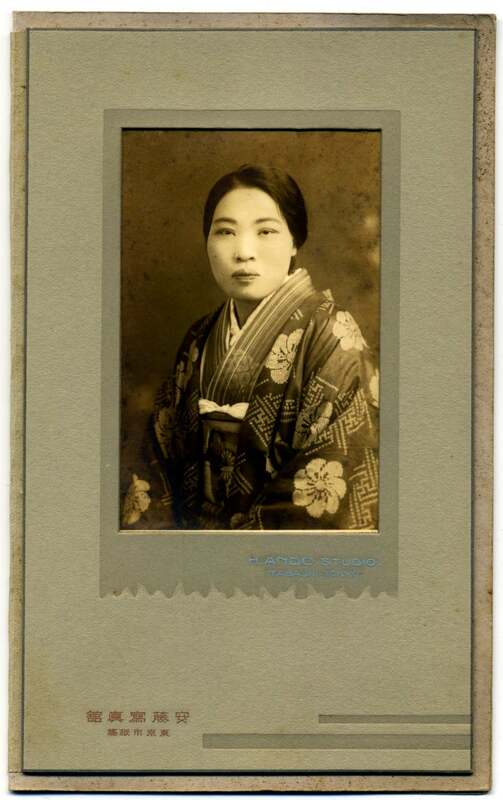 Her hair is unusually plain for a Japanese portrait of this era, which gives her a certain gravitas, if not severity. 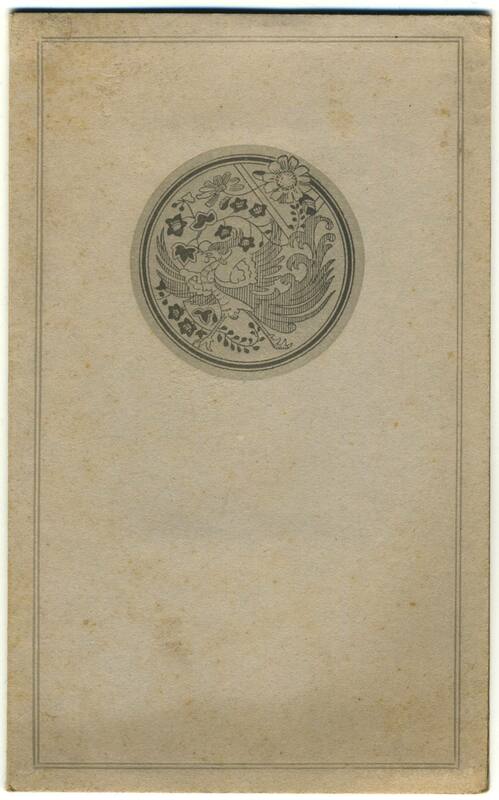 The photo was taken at the H. Ando Studio in Itabashi-ku, Tokyo. The image measures 55 x 85 mm, while the mount is 105 x 165 mm. 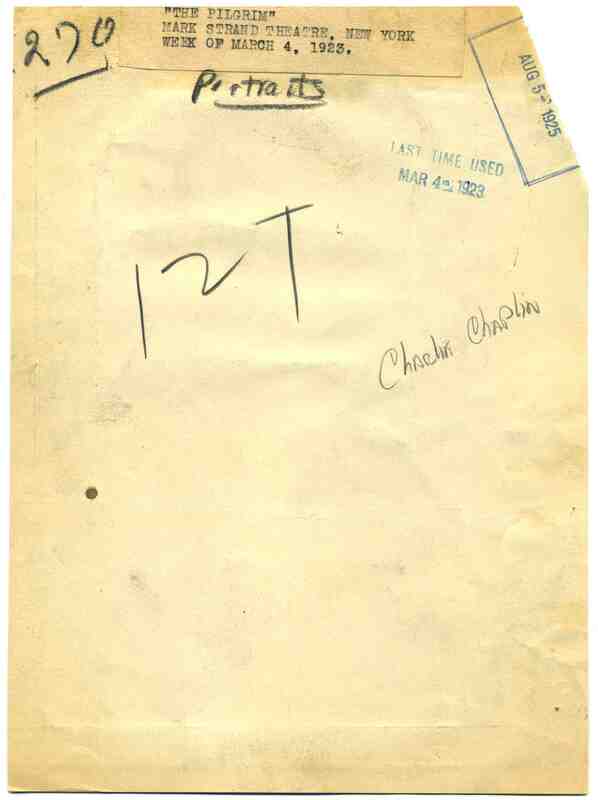 The cover of the item is beautifully printed but not embossed, which in my collection, at least, is atypical. 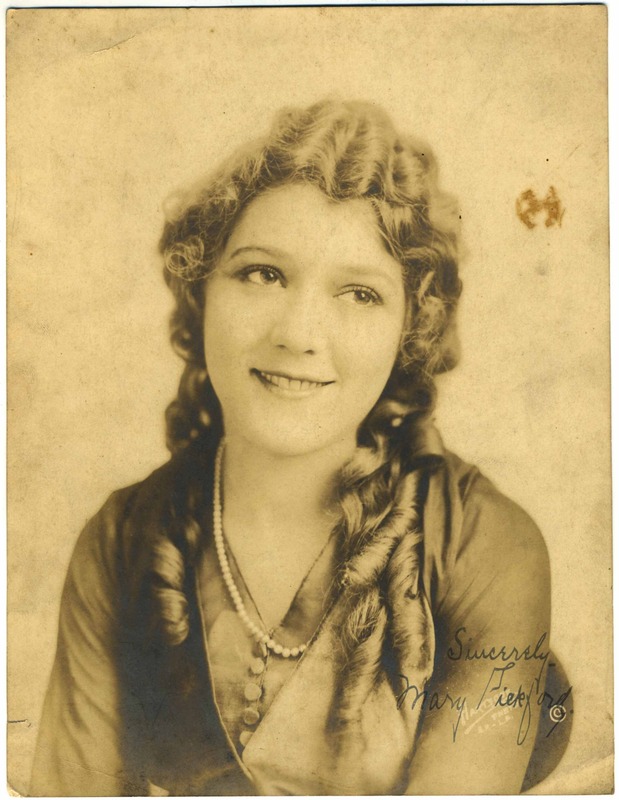 This 8 x 10 inch portrait photo of silent movie star Mary Pickford was brought back from the USA by my Grandfather after his solo violin performance tour of 1917. It is a shame that what appears to me to be a hand signed inscription, is not made out to him personally. 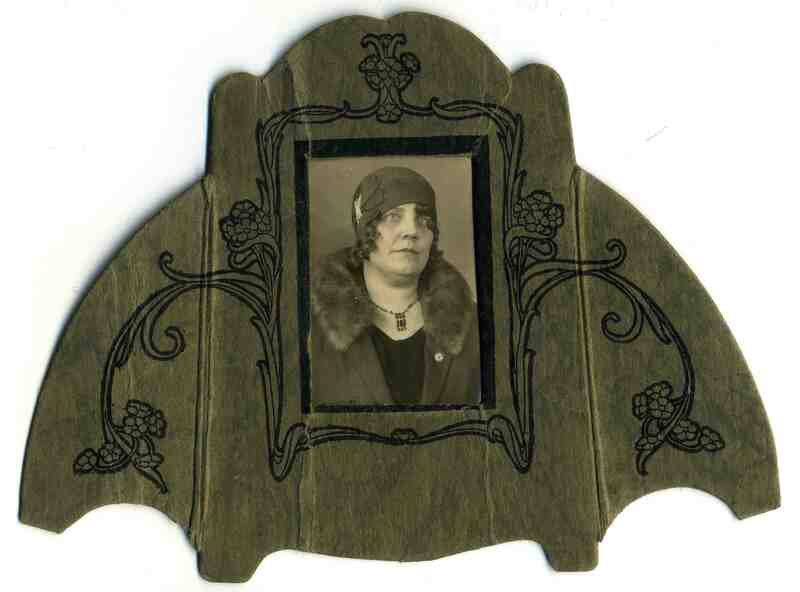 Despite this, having in my collection an original photo of this screen icon, one of cinema’s earliest, female, international celebrities, is a joy.